Our governments simply don’t think, even strategise, longer-term. They are mostly “reactive” not “proactive”. 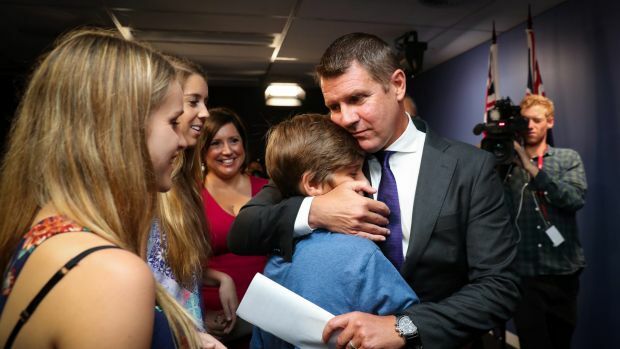 While I understand and accept his personal reasons, I am personally disappointed that Mike Baird has decided to resign as NSW Premier. He was decent, genuine and committed to reform, committed to turn the state around and, as he said, to “make a difference”. Sure he made mistakes, but he was no cliche. How many times have you heard one of our political leaders claim that they are in Parliament “to benefit our children and grandchildren”? Almost as many times, I suspect, and with about the same credibility, as you have heard them say, on exiting politics, that they “wanted to spend more time with their families”, usually just after they have lost, been named in some scandal, been demoted, or overlooked, or some similar experience. One of the main reasons for the poor standing of our politicians, and underlying some of the mounting momentum of the global anti-establishment movements, is that electorates are drowning in these, and many more, cliches. These statements have been overused to the point of losing their original substance, significance, and meaning, in some cases, becoming trite and irritating. It’s now disappointingly novel, but electorates expect that politicians should say what they mean, and mean what they say. This situation has been getting progressively worse over the past several decades, importantly accelerated by expanding technological possibilities, in a world of increasing “short-termism”. Our politicians mostly get their morning email/text with simple messages on key issues, to be rabbitted on at every opportunity during the day, as they also exploit opportunities via Facebook, Twitter, and so on, or even speak with their constituents. The “strategy” is to offer, and repeat again and again, simple answers to complex questions, in an attempt to effectively “stop thought”, or to at least distract attention from some other line of thought, and thereby to hopefully close down meaningful longer-term discussion and debate. Let’s wish that this drift has reached its “zenith” with a soon to be US President attempting to run government by tweet, although even this “messiah” is finding that 140 characters may be insufficient, even for the most simple of messages. How long can he go on ignoring the complexity of the challenges on which he has tweeted? Just focusing on what should be “to the benefit of our children and grandchildren”, the tragedy is that most of what is done by our politicians today is probably counter to their best interests. Everything from cheating on their expenses, and otherwise wasting taxpayers’ monies via “pork barrelling”, through to failing to properly meet the needs of, and fund, the aged and disadvantaged, schools and universities, hospitals and Medicare, social and economic infrastructure, etc., and failing to effectively address many structural challenges, such as Federation and taxation reform, industrial and labour market restructuring, housing affordability, budget repair, climate, and inequality, is working against what is best for future generations. It’s as if our politicians believe that they can get away with their short-term, self-absorbed, populist and opportunistic “game playing”, as most of these challenges and issues are unlikely to “blow up” on their watch, that they will be long gone, before the potential crises arrive. However, if they do blow up, well, hell, we’ll have to double-cross that bridge if we come to it! We have heard much in recent years about “The Asian Century” and our national potential in that respect. Yet, we fail to comprehend the significance of the fact that many of our significant Asian neighbours, with whom we trade, invest and compete, think, plan and govern in terms of decades/generations, while our government processes are more driven by tomorrow’s media, or maybe as long as the next budget, at most to the next election. I notice that both the government and opposition have spoken recently about some long-term impacts, to the mid-2020s, of some of their policies, but this has been mostly to obfuscate, to hide real impacts, rather than to inform. Our governments simply don’t think, even strategise, longer-term. They are mostly “reactive” not “proactive”. They tend to let circumstances unfold, just “hit us”, and then seek to respond, rather than to anticipate and prepare – always at a net national cost. They rely on the fact that the electorate is rarely ever informed of such costs. I noticed in Abbott’s most recent attack on Turnbull that he says: “The first rule of government should be to do no harm”. He then went on, in true climate denier fashion, to sustain his attack on the renewables industries, even though the effective transition from fossil fuels to renewables is of fundamental importance to “our children and grandchildren”. He also called for a “magic pudding” via tighter government spending, and faster deficit reduction, with corporate tax cuts. Nobody to be harmed in all this? As much as they hate the expression, most of government today is blatant, intergenerational theft. Either face the medium-term realities, or ditch the cliche. John Hewson is a former Liberal Party leader and a Fairfax columnist.